Christmas is now officially over in Edinburgh following the removal of the Christmas and Hogmanay advert on 276 – only three and half months late! 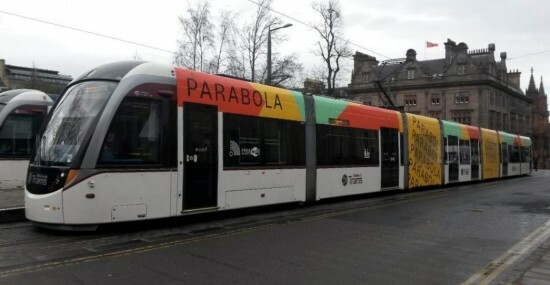 276 has now become the latest tram to advertise the Parabola development at Edinburgh Park following in the footsteps of 254, 264, 268 and 271. 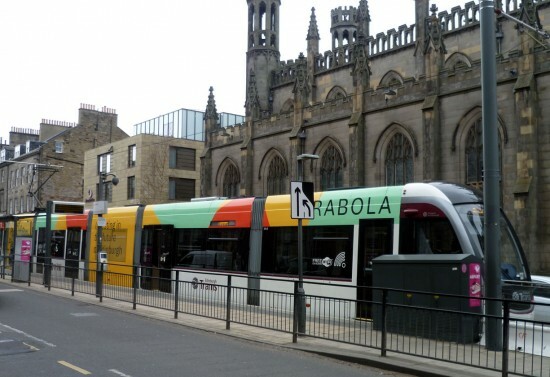 This advert is a very colourful affair with various colours used along the above window sections of the tram whilst the full height adverts are in yellow.